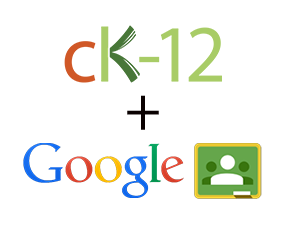 CK-12, a great resource for free e-textbook and curricular resources, has just announced that it is integrating with Google Classroom. Google recently updated Classroom to allow third parties to integrate and share with Classroom and CK-12 has just done that. 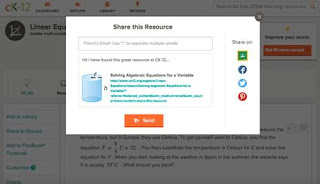 The Google Classroom share button is now in CK-12 so teachers and students can access all of the content in CK-12 from within Google Classroom. A teacher can easily share any textbook, video, activity or assignment they find in CK-12 right into Classroom for their students to access.